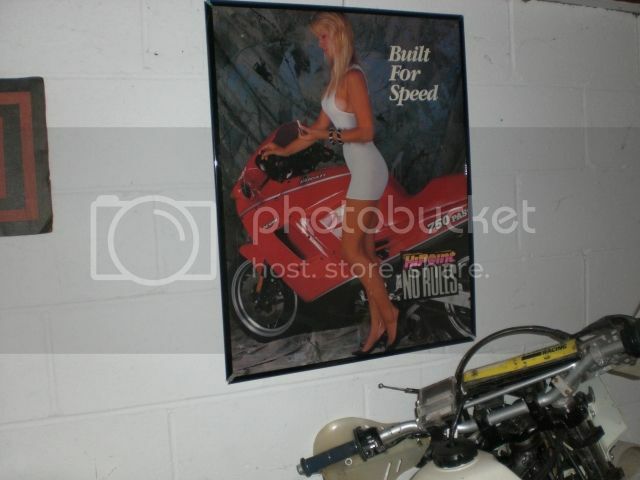 Anybody remember the Paso 750 poster from the 1980s with the model in a white dress next to a red Paso? I've had one on my garage wall for years. I just noticed that one is listed on Ebay with a starting bid of $750 bucks! Now that's an optimist. Check it out at http://r.ebay.com/LWX2jQ. You could buy a rough bike for that! I've had mine on my garage wall for a long time, too. Love my Paso. What the..... . I just threw mine in the bin yesterday.Excuse me a moment,I have to catch the garbage truck . The worst part is some rich person will probably buy it . Last edited by Andrew2 on Fri Aug 22, 2014 11:34 am, edited 1 time in total. Is that woman with the tan line holding a cigarette ?